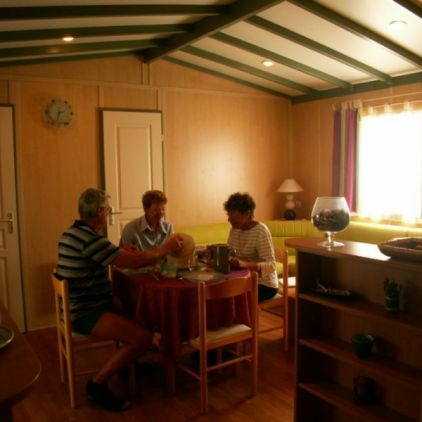 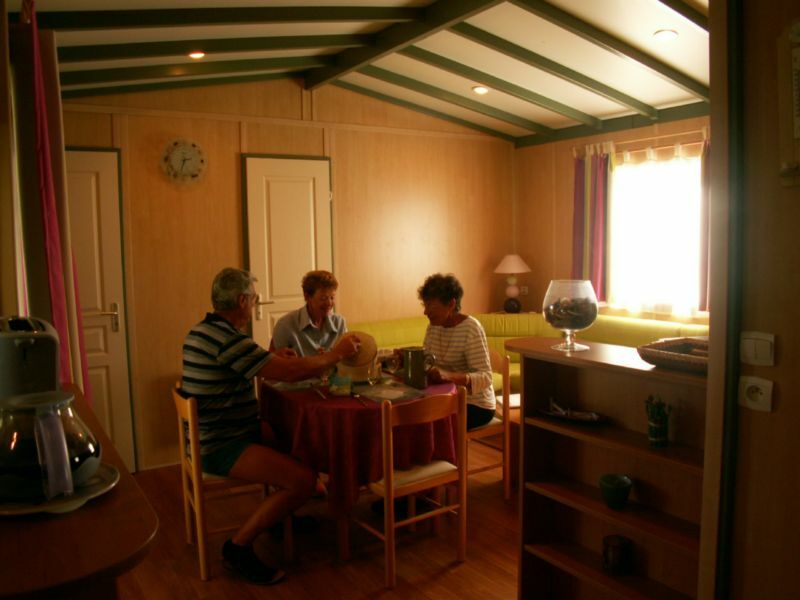 Our chalets Premium offer you all the comfort you need during your holidays. 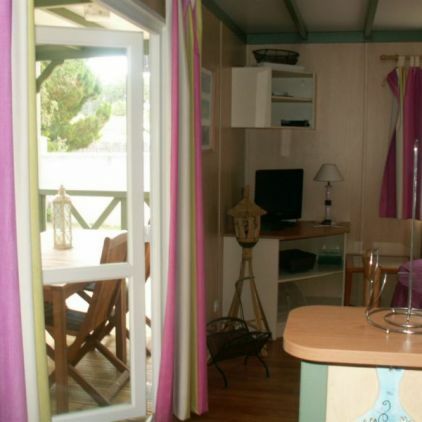 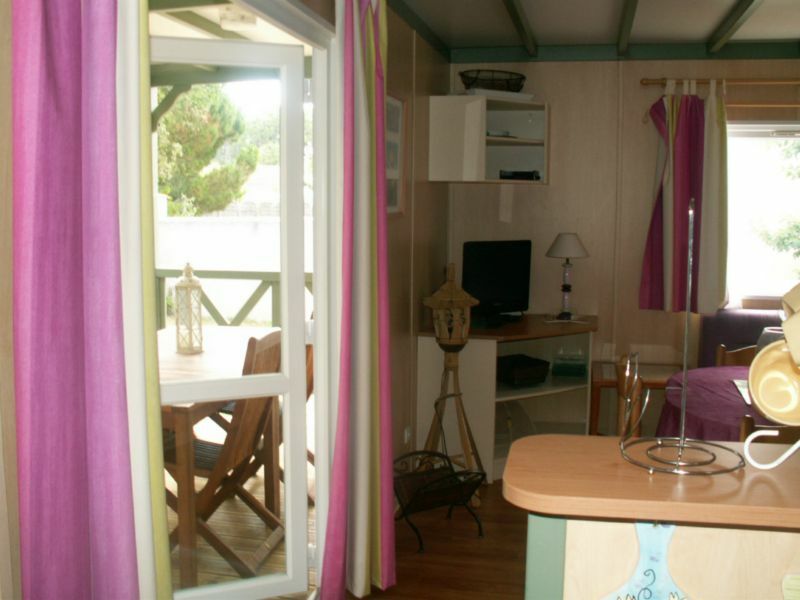 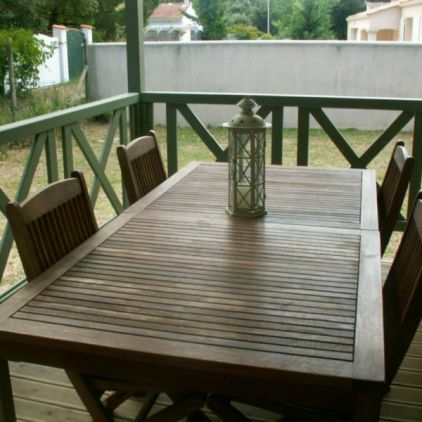 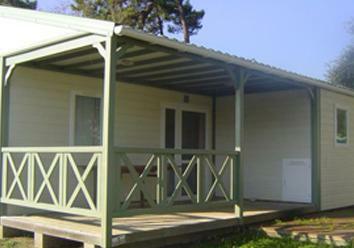 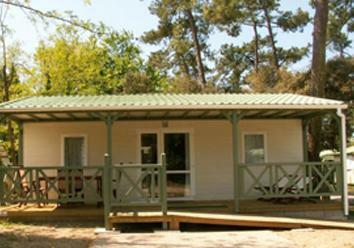 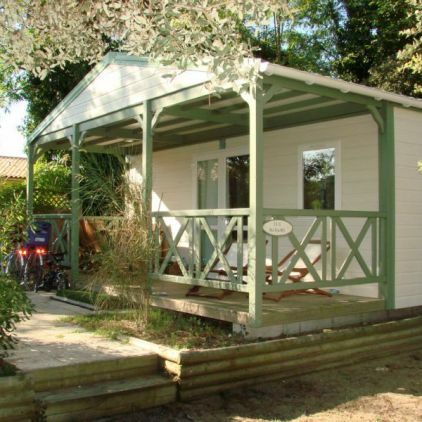 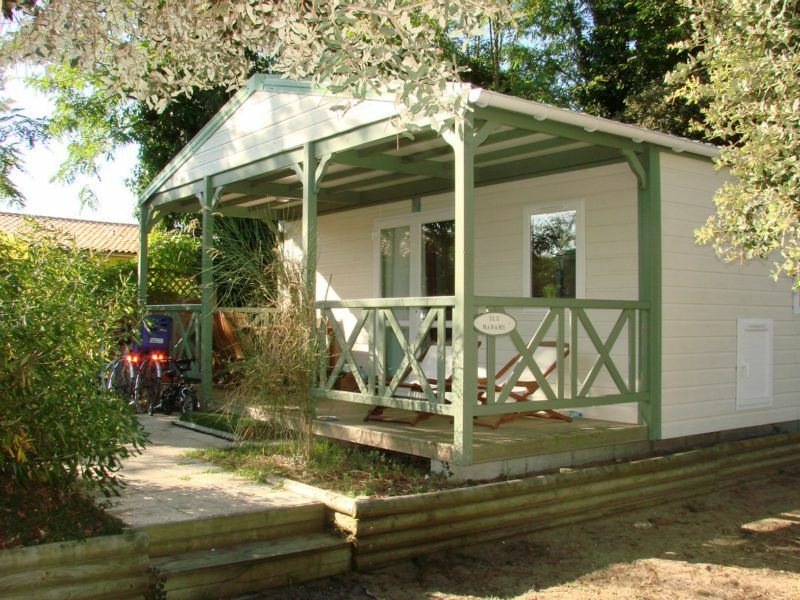 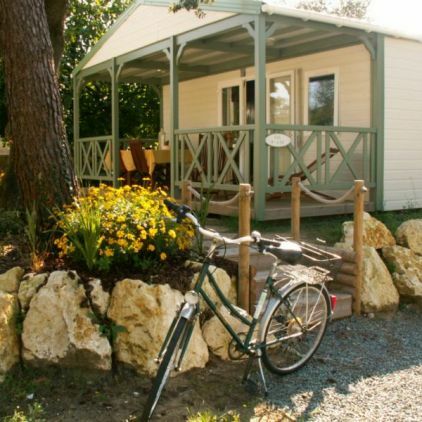 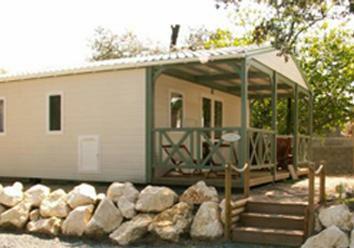 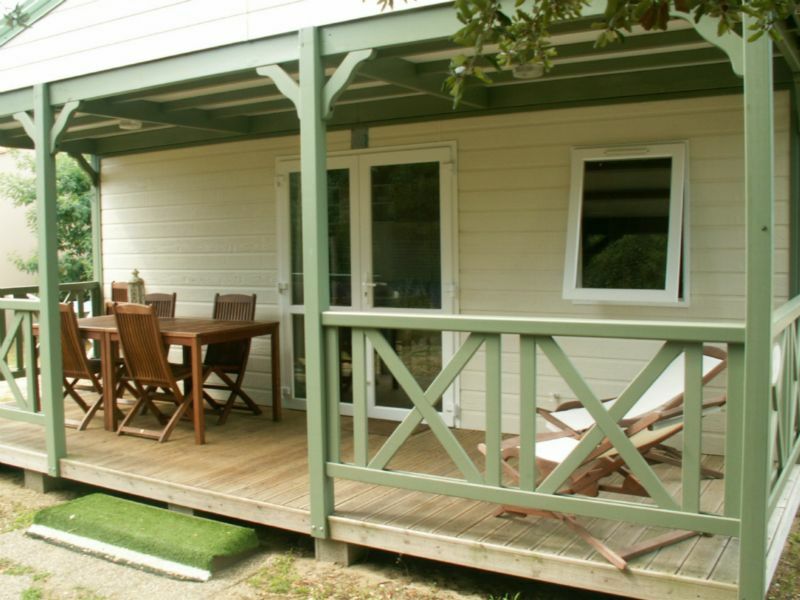 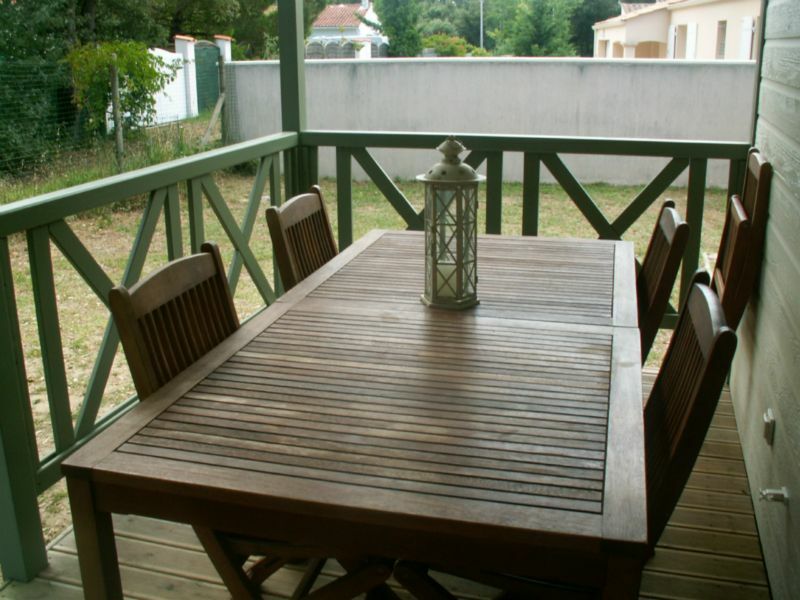 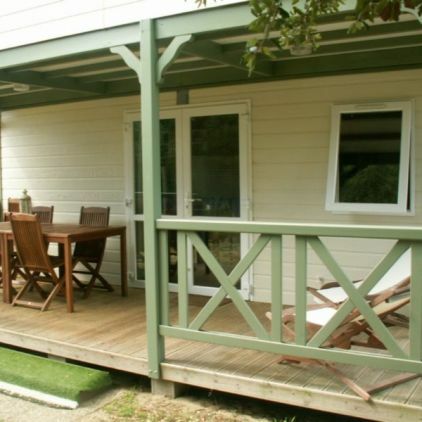 The chalets have a covered terrace with garden furniture and sunbeds. 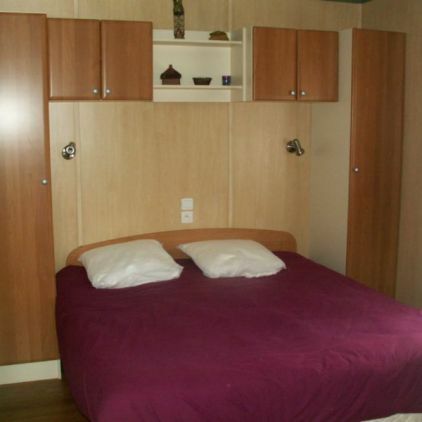 One duvet per bed, one pillow per person and waterproof mattress protectors are provided. 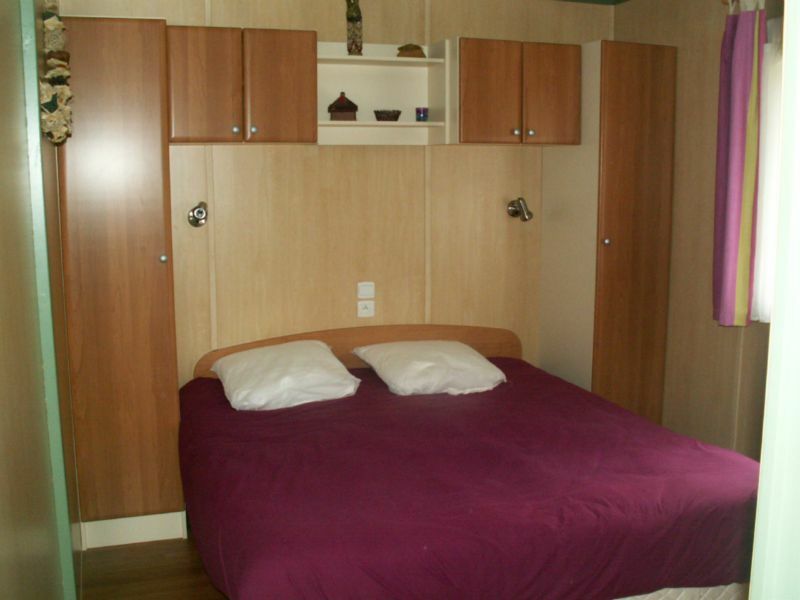 The double bed mesures 160x190 cm. 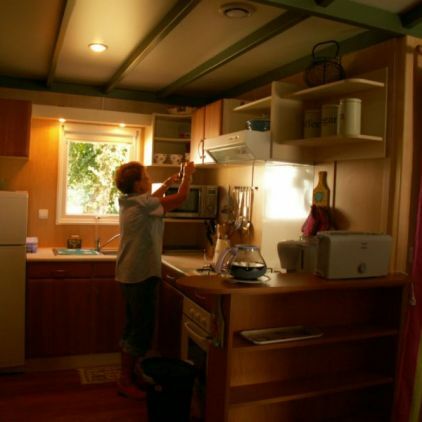 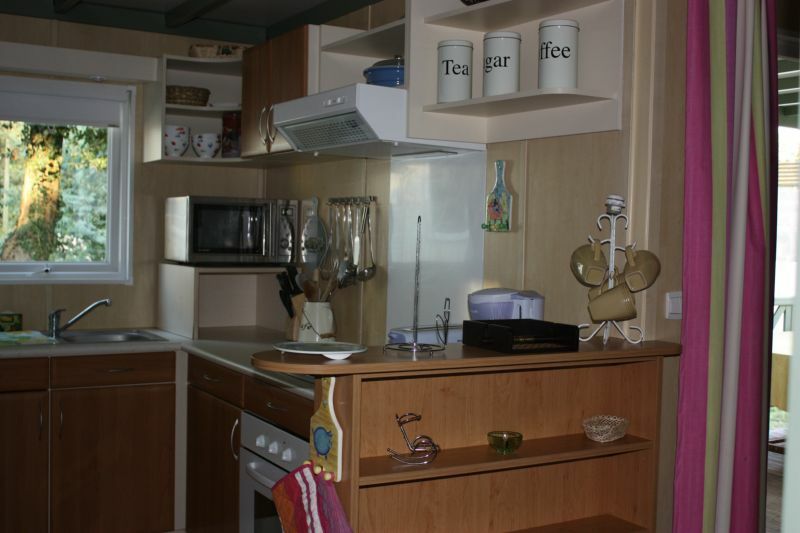 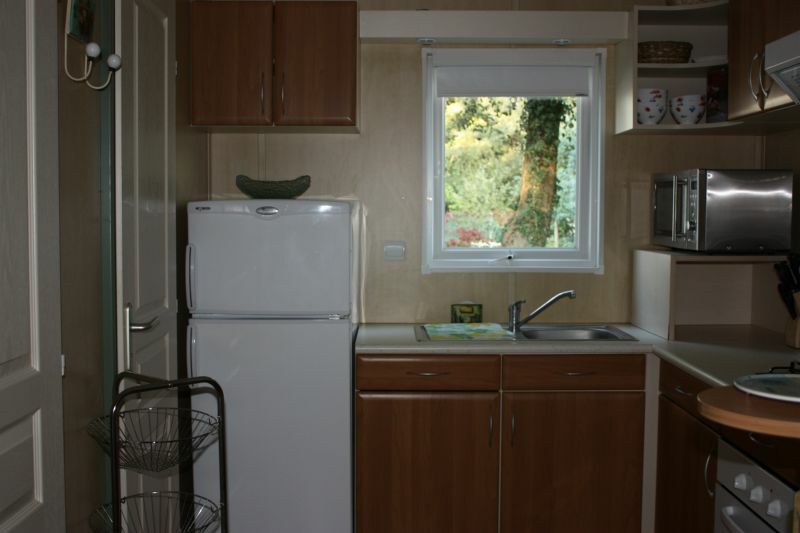 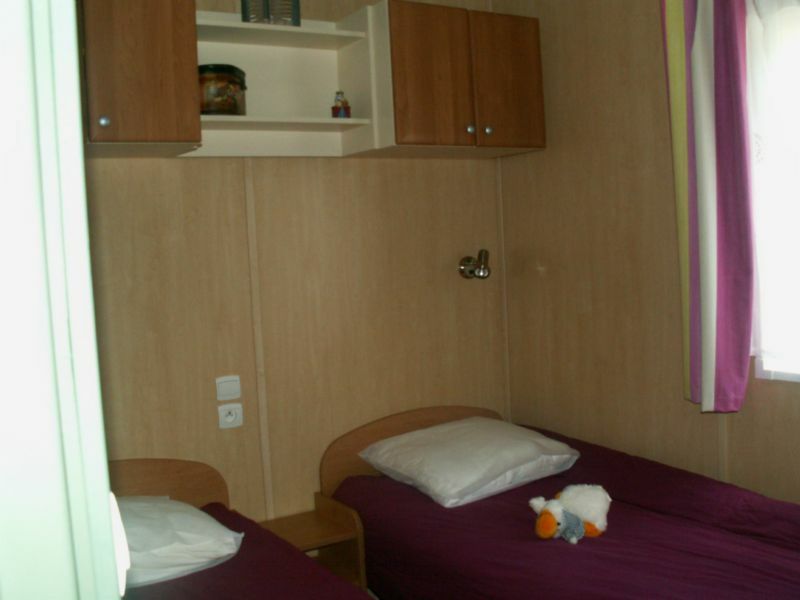 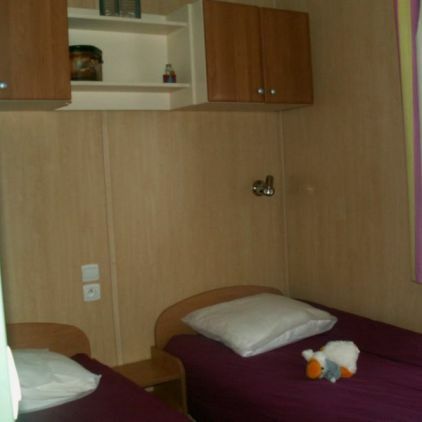 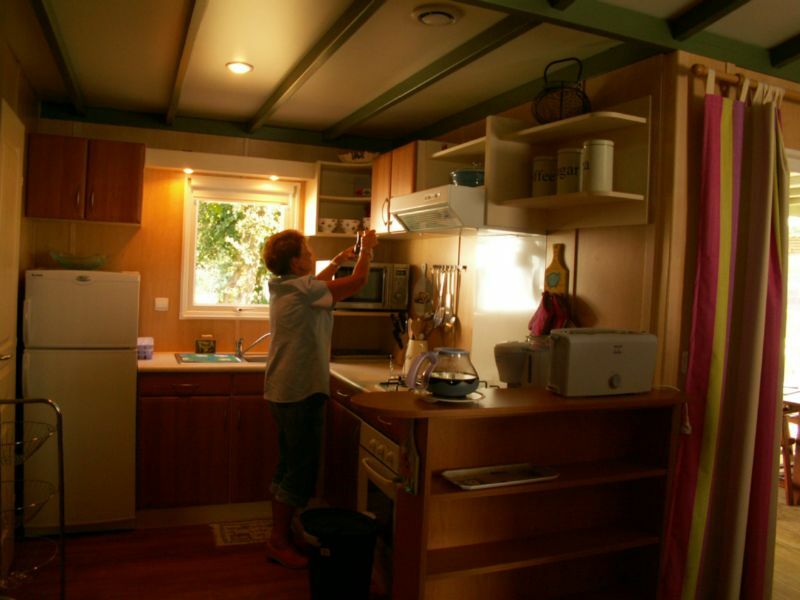 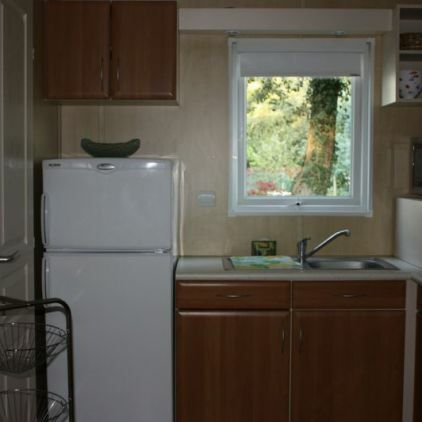 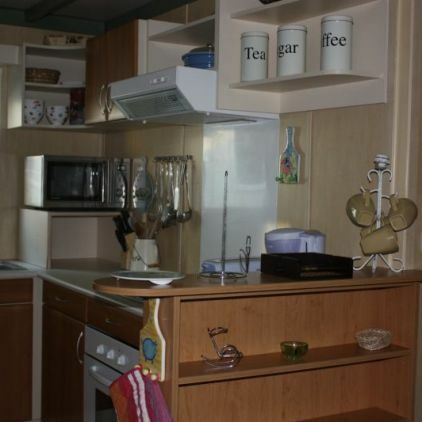 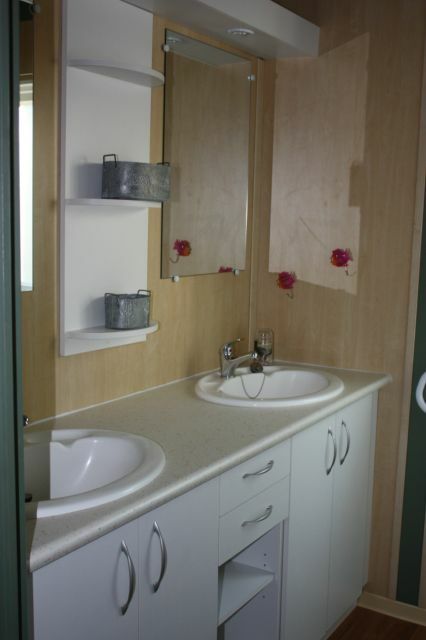 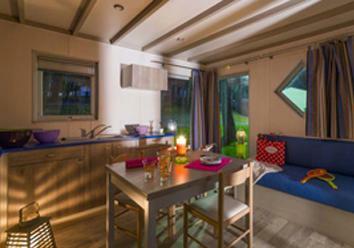 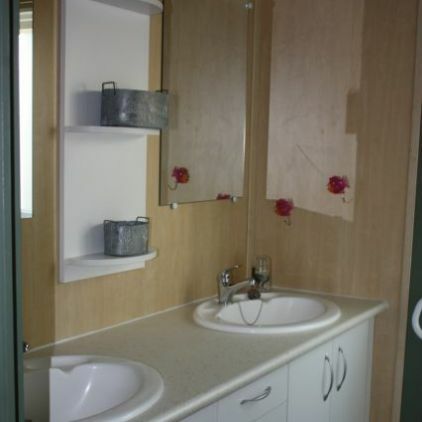 You will find a TV, dishwasher and airconditioning in the chalet. 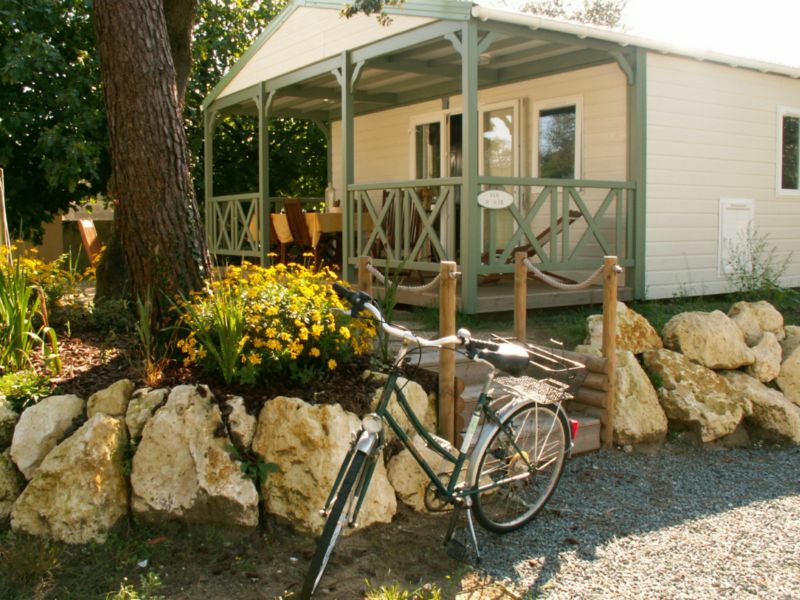 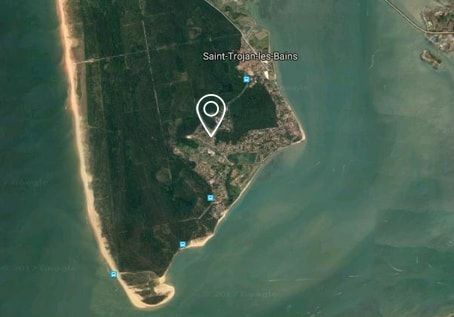 There is a possibility to park 2 cars next to the chalet.